Rosantica By Michela Panero - This gold-tone metal necklace showcases Rosantica's opulent approach to bohemian jewellery styles. 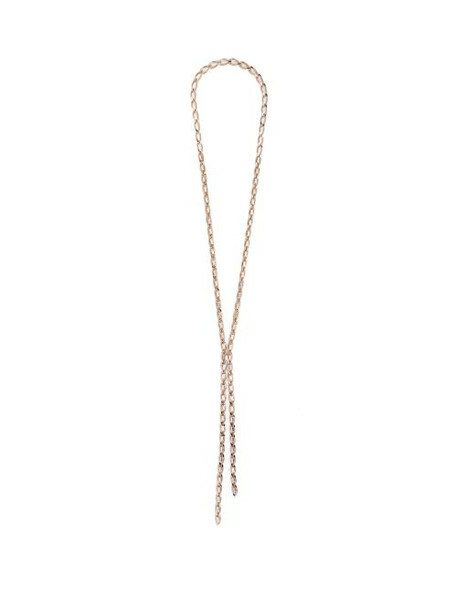 The link chain is intricately studded with glittering emerald-cut crystals and finished with asymmetric tasselled ends. Wear it layered with similar styles for a statement evening edit.